Business professionals must share files regularly to be collaborative, but there are issues that IT managers should be aware of. There is a danger in employees being tech-savvy – they can use devices and means to transport and exchange files that are beyond the control of IT management. Employees may simply see webmail, file-sharing services, cloud storage, USB sticks and smart devices as easier to use than traditional corporate tools to transfer files. 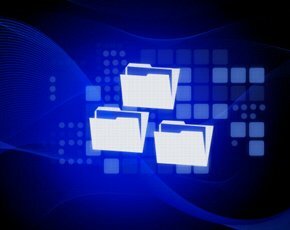 For IT managers, however, users with unchecked file transfer methods represent unacceptable security risks with regulatory implications. The internet is an empowering thing, but the proliferation of uncontrolled user tools is high and you cannot put that genie back in the bottle. IT managers must accept a degree of cultural change, then provide attractive alternatives that allow them to monitor, quantify and model file transfers. A responsible reaction to this unconstrained business risk is driving businesses around the world to look for a simple, user-friendly route to protecting their most valuable data assets. IT managers today face diverse challenges and have to balance many simultaneous projects. They must always be open to new ways to become more efficient and security conscious, such as increasing the security and management of business file transfer. Employees are circumventing IT protocols and turning to unsanctioned tools such as file-sharing, messaging, collaboration and social media tools in record numbers. This has resulted in a lack of visibility and control for IT departments, exposing organisations to security and compliance risks. Both the means by which users can share information, and the sheer volume of data changing hands between individuals and between businesses, has skyrocketed. Cloud file sharing: Secure enough for the CIA, secure enough for you? Recent surveys have shown that a vast majority (84%) of business users send classified or confidential information via corporate email attachments. Of those, 72% do so weekly and 52% daily. IT managers have limited control because users are sending a clear message with their file-sharing habits. They cannot afford delays or slowdowns associated with jumping through perceived hoops to send out information and files that keep business humming. And if IT managers do not provide the tools they need to send large and confidential attachments – or if the processes are too difficult to use – then users will take matters into their own hands. If corporate email systems limit the size of file attachments, or if IT vetoes service requests, then resourceful employees do not just throw up their hands in resignation, they look for workarounds. The growing popularity of file transfer sites and cloud services aimed at consumers is making it easier for business users to sidestep IT. Moreover, it is not just individual employees who are going rogue – entire departments discretely bypass sanctions. This behaviour makes it harder for IT managers to stay in control of sensitive files and data leaving the corporate walls. Basic file transfer protocol (FTP) tools, for example, have been around for a long time, and are frequently used to send sensitive information containing usernames and passwords. Often these tools increased in popularity without developing more sophisticated security precautions. IT managers must demand greater security controls, such as 256-bit data encryption, validated cryptography, OpenPGP file encryption, file integrity checking and file verification. When business users are not turning to personal email accounts or free file-sharing services, they are often sticking files on USB thumb drives, smartphones or other external devices. Unfortunately, recent surveys show that almost one-third have lost a USB device, smartphone or other external device containing business or personal information in the past – a tremendous risk for any organisation. This can result in unhappy customers, brand harm and reputation loss. High leakage levels make it a pretty tough world for an IT manager. The sheer number of devices and removable media tools people are carrying in their pockets mean it is no longer about controlling desktops. Users have smartphones and tablets and want to use them at home and in the office. Most companies create and maintain policies that mandate the use of approved tools for moving and sharing information. However, research suggests that fewer than 32% strictly enforce the policies, making these mandates largely meaningless. One reason these policies may not be strictly and consistently enforced is that IT managers cannot track the files entering and leaving the company. No visibility means no compliance with internal policies or, potentially, with external regulations and laws. The file-sharing habits of today’s employees may be risky, but ultimately are driven by a desire to get work done efficiently. This need must be balanced with the necessity for IT managers to control file-sharing intelligently. IT managers need to better understand who their users are exchanging information with, why they are doing it, and what type of tools they prefer to use. In this way they can better understand where they stand and how best to help the situation. Fortunately, companies do not have to choose between risky behaviour and productivity. Using the right technologies can give employees the convenience, ease of use and speed they need while IT managers retain the control, visibility, security and compliance. It is a win-win situation. Stephen Hess is vice-president product management for Ipswitch File Transfer.